Today in this brief tutorial, I’ll go over how to break up and fracture objects in Cinema 4D and bring it into Element for some animated shattering goodness. 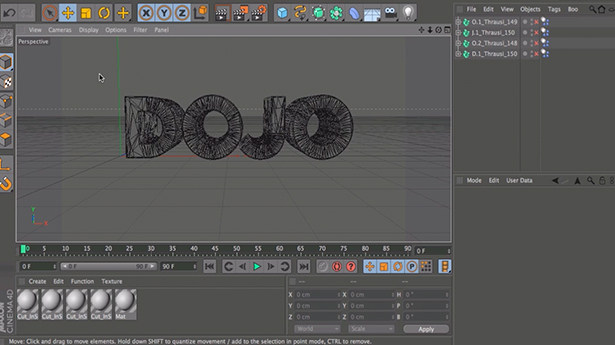 Something to keep in mind is that this isn’t just for Element, you can use the same technique to fracture objects in Cinema 4D for your own 3D projects, I’ll just be referencing Element as that’s what everyone is wanting to use right now. We’ll be using a free plugin called Thrausi by Nitro4D to quickly shatter our objects. We’ll really just focus on the fracturing part in this tutorial, I may do a more in-depth tutorial later on focusing on spicing it up, animating everything, and making it look good in the near future. If you would like to see this tutorial, let me know! With a bit of motion blur, depth of field, and some styling, you can create a pretty neat fracture animation inside Element in no time at all. Hopefully this tutorial answered a lot of your questions, if you have any other questions or comments, feel free to leave them below! Thanks for the support dude, greatly appreciate it and glad I was able to help! Is there anyway to texture different parts of the model? Like having the front text be one color and the rest a different color?